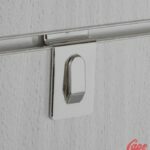 DOES NOT WORK WITH SINGLE HOOKS. 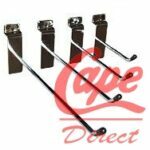 Work with most Double or Euro Hooks. 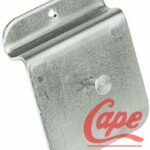 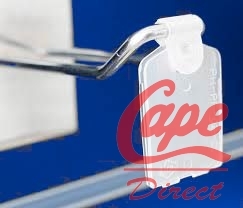 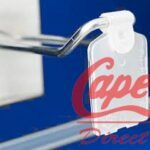 Plastic clip-in Price Tag for Slatwall or Peg Euro hooks (also known as double or looped hook).